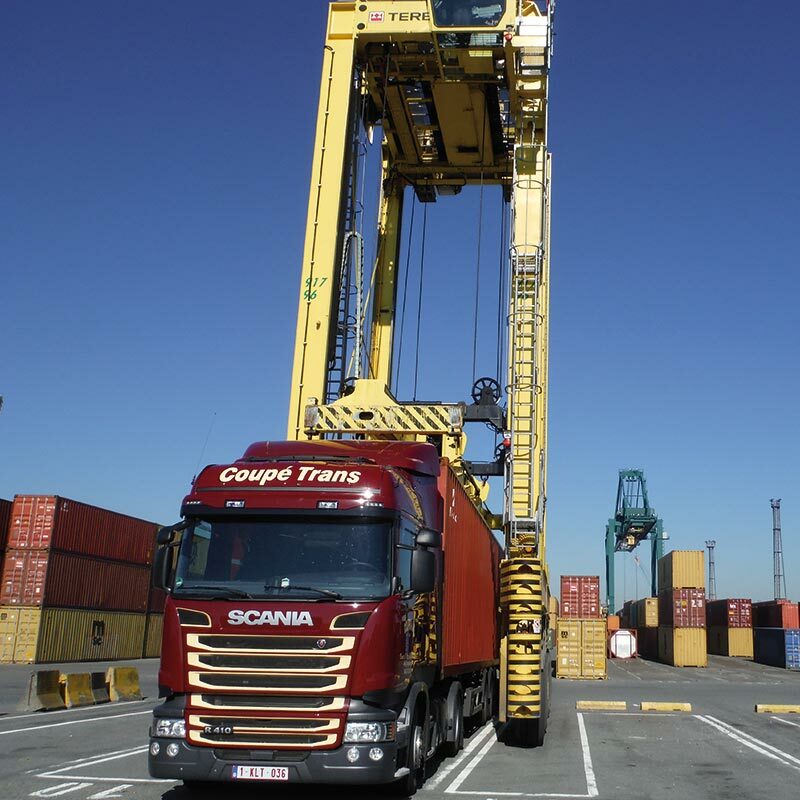 Our specialty is organising national and international container transport from the port of Antwerp mainly to the Benelux countries, France and Germany. We also have the necessary permits for waste transport in these regions. For the transport of dangerous goods (ADR packages), we can be of service as well. Our entire fleet was renewed in 2014 and 2015. All our trucks meet the latest Euro 6 environmental standard, and are equipped with the most recent safety features, such as adaptive cruise control, retarder, lane departure warning and advanced emergency brake. Our vehicles are equipped with an antitheft system to ensure the safety of your goods. Coupétrans stands for quality and reliability. 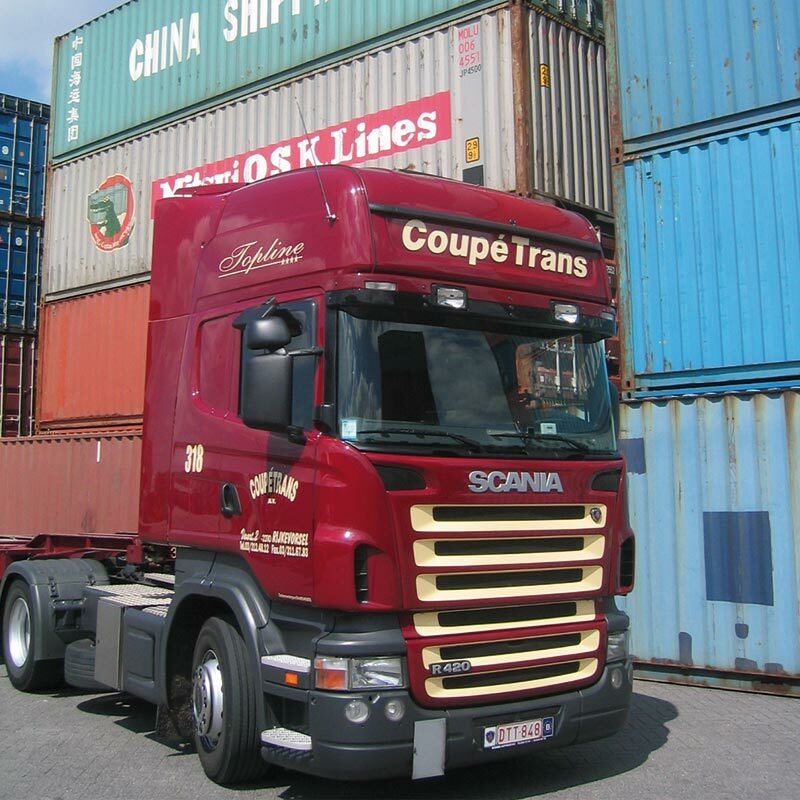 Our drivers are all Belgian, committed, flexible and professional truck drivers with years of experience. Through continuous training our drivers stay informed of the latest developments in the transportation industry. Our drivers regularly attend training for skills and ADR transports. You can leave your goods in the hands of our experienced truckers with confidence. By using onboard computers the scheduling department is updated on the progress of the transports at any given time. 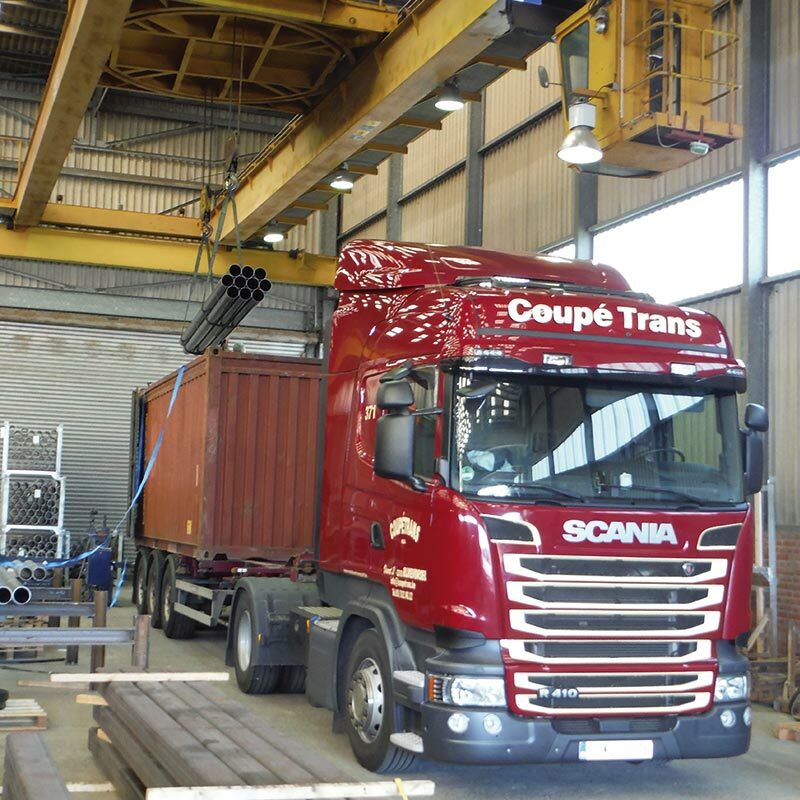 Our planners are not only able to see where the trucks are located, as with any standard tracking system, they are also able to see status of the journey, which containers are on their way, and when the loading and the unloading take place. So you always know where your goods are. Our fleet management system also allows us to easily and efficiently perform driving style analyses, to follow up on the driving and resting times of our drivers, to monitor fuel consumption, and to easily communicate with our drivers on the road. You can rest assured, your transport is done as economically, efficiently and safely as possible. Curious about how we work? Want to know more? 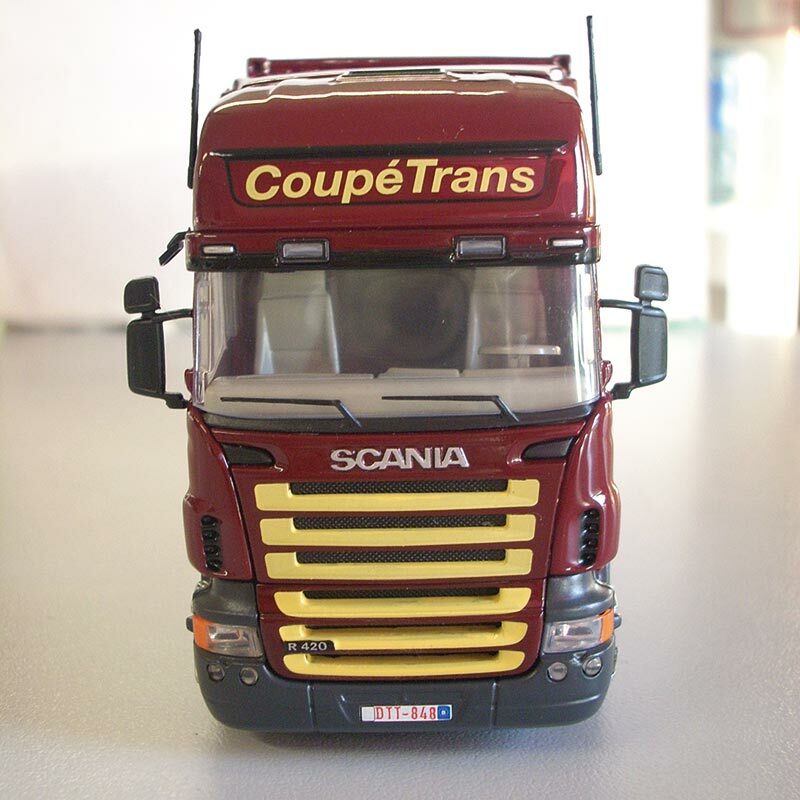 Coupétrans is a modern Belgian transport company with years of experience in international container transport. The family business was founded in 1953 and since then, we offer our customers a reliable logistic partner for the transport of sea containers from the port of Antwerp to the Benelux countries, France and Germany. Our many years of successful partnerships with large and small businesses in Belgium and abroad guarantee our quality. © 2019 Containertransport. Designed with love and passion by Fatmama.